SXSW is amazing. Seriously, why aren’t you here? Next year it is your job to convince whoever you work for that you should be here. Think up a plan now. Yesterday I listened to Brian Chesky in a fireside chat at the Hilton and I’m pretty sure I’m in love with him, business wise, he’s a genius of course but it’s his commitment to his craft that really inspires me. Did you know that he gave up his home in June of 2010? He’s homeless, because he believed as a CEO that he should commit himself to his brand. Unreal. The 2PM keynote yesterday was @SwissMiss and man-o-live was she inspiring… so inspiring in fact that a friend of mine actually resigned in the middle of the session to go the start-up route. Tina presented us with 11 rules to live by and honestly all of them spoke to me but my favourite was, experience > money. I love my job and I love the money that comes with it but the idea that I could leave for a better opportunity without sacrificing quality of life leaves me with a sense of hope for the future. Lindsay & MK are here too so we’ve been spending most evenings together which last night included some tasty Tex- Mex, the twitter party and the #MashBash and the night before included watching Sarah Silverman and Reggie Watts kill it on stage. 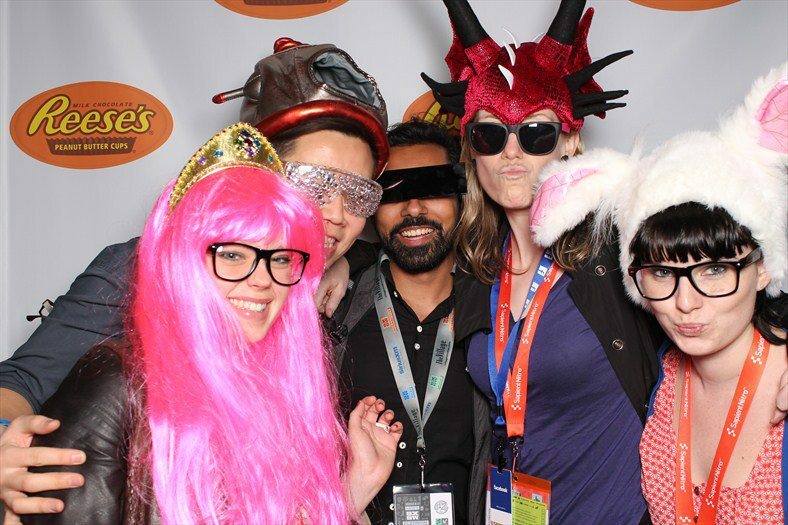 So I’ve learned, I’ve been inspired and I’ve had A LOT of tasty food… #SXSWi is officially my happy place.